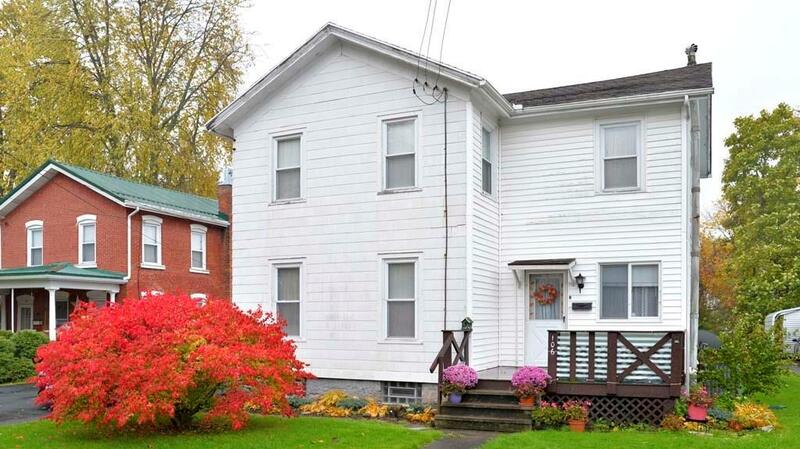 106 East Elisha Street, Waterloo, NY.| MLS# R1158629 | Coldwell Banker Finger Lakes | 315-789-6768 | Geneva NY Homes for Sale, FINGER LAKES PROPERTIES, Seneca Lake, Cayuga Lake, All of the Finger Lakes. OPEN HOUSE CANCELED. Love the idea of a home with history and character but worried about drafty spots and heating bills? You don't have to sacrifice character for efficiency in this beautiful home! The homeowners had an energy audit done in 2014 then installed new insulation throughout, protecting the home from the cold and cutting their utility bills in HALF! Lots of recent upgrades to big-ticket items will give you peace of mind in this spacious home! Convenience abounds both in the home (like the first-floor laundry) and in the location (walking distance to everything from shopping to dining). Set on a lovely neighborhood street lined with mature trees and pretty homes, you'll love coming back to this sweet home every day! Check out the 3D tour if you aren't able to visit in person! Directions To Property: When Heading East On Hwy 20 Toward Waterloo, Turn Left Onto N Virginia Street. Turn Right Onto E Elisha Street. Home Is On The Right.